A winters day that brought the sun out shining. 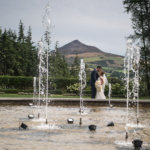 This is a sample of just some of the beautiful photographs from the amazing wedding day of Rachel and Stephen and their elegant Tankardstown House wedding photography. When a couple like these two book ourselves to capture their wedding day we know its going to be just filled with love and laughs. What an amazing day with so much joy in the air. Rachel and Stephen are just so nice and we were delighted they chose us as their wedding photographers. The full wedding blog post is on the way so check back to see even more from this fantastic wedding day. It may have been a cold day but the sun made an appearance at just the right time so we made the most of this rare occasion and got some beautiful shots as the sun went down over Tankardstown House. We even made it to the walled garden (our favourite spot) for some wedding photos with the couple and their bridal party. Rachel got ready in the Grand Hotel Malahide and then the ceremony was at Malahide Church. This was followed by the reception at the glorious Tankardstown House. It was an incredible day and here are some of the suppliers that where there to help make it all happen.  If you are interested in finding out more about ourselves and and would like to enquire about booking us for your wedding day photography and/or videography please do contact us so we can start chatting. Music: Vocals by Clodagh Byrne accompanying Avoca String Quartet.